Forge Welding is the captivating process whereby the blacksmith heats two bars to a near molten temperature, masterfully applies his hammer and fuses the two into one homogenous bar. It has been practiced for millennia and was essential to the creation of civilization today. 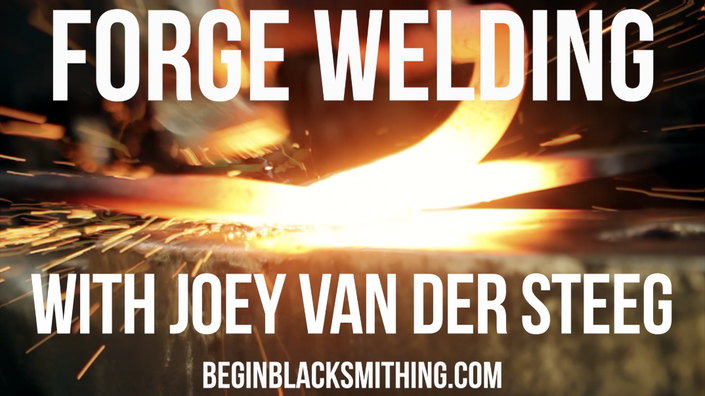 Joey van Der Steeg is a Dutch Blacksmith who has been serving the blacksmithing community for many years now, producing fantastic youtube videos and tutorials. One of the processes he has devoted extraordinary amounts of time to is that of forge welding. He is a very highly regarded forge welder and I am THRILLED to be able to offer you the opportunity to learn from some of the greatest instruction and footage of forge welding available today. When you purchase your new course you will immediately have access to over 4 hours of the most beautiful HD content. By having this highly detailed view of the processes of forge welding along with Joey’s expert tuition, you will certainly be able to excel at the art of forge welding much faster. I can truly attest to the joy that the wonderful process of forge welding can bring to your forging pursuits. After filming Joe and studying his demonstrations, I was immediately able to go to the forge and weld my first ever scarf weld - FIRST TIME. (There is a video of this happening out there - it is very funny to watch my reaction when I see it work!). I was ecstatic. I had taken two pieces of solid, rigid and cold steel and seamlessly amalgamated them into one. IT WAS AWESOME! I have truly missed out by not having this had information sooner. I will NOT let you have this problem. Enroll in this course today and start your forge welding journey. Check out the promo video below and hit enroll. I can’t wait to hear all about how much you enjoyed Joey’s instruction and the projects you have completed with these skills. Check out the course contents below and see the HUGE amounts of content we have produced for you in your new course! Joey Van der Steeg is a Dutch blacksmith who has been inspired and awestruck by the craft since a very young age. After over a decade of relentless practice and dedication to his forging pursuits, he has built a large and dedicated following who continue to learn through his teachings online. His youtube channel has over 12,000 subscribers. 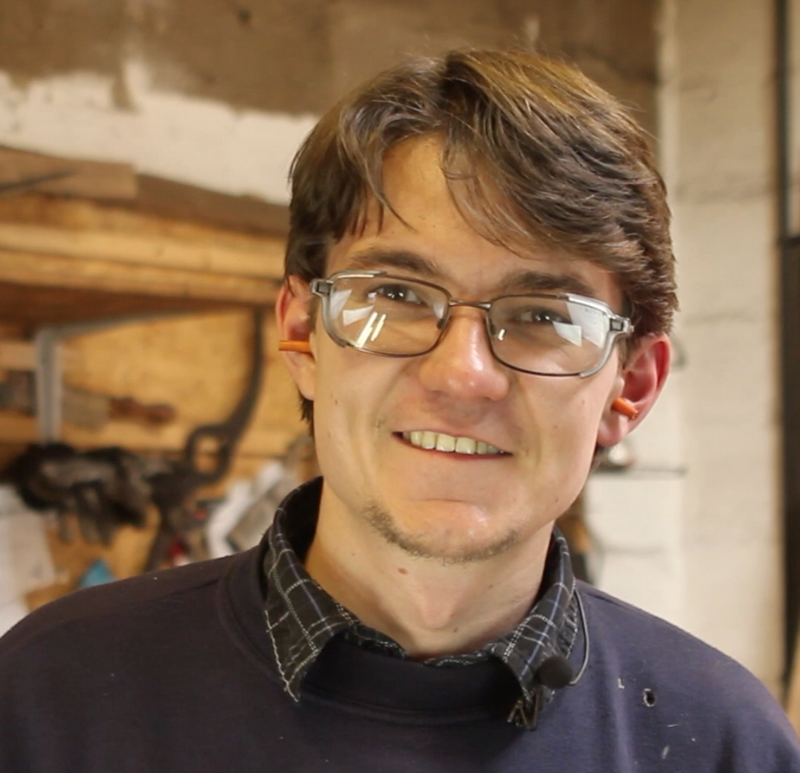 Joey is mostly self taught, but is an alumni of the Hereford College of Technology: having studied blacksmithing. One of the skills that he has become particularly renowned for is that of Forge welding. Joey undertakes custom tool making, private classes and architectural commission work out of his workshop in the Netherlands.